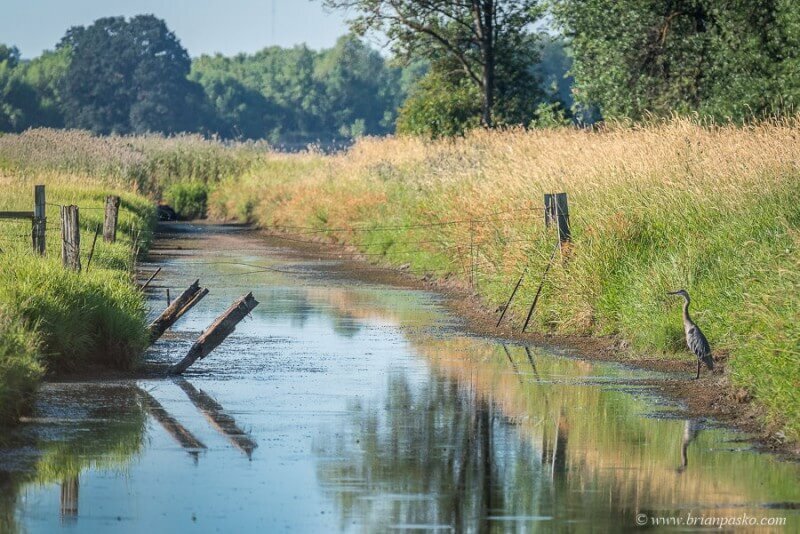 Ridgefield National Wildlife Refuge is a wildlife preserve more than 5000 acres large located near Ridgefield, Washington in Clark County. With all of its marshes, grasslands, and woodlands, the habitat in the refuge is varied and support a diverse range of wildlife: coyote, deer, nutria, eagles, hawks, owls, and so much more. The refuge was established in 1965 in response to an Alaska earthquake that disrupted important nesting habitat for the Canada Goose. 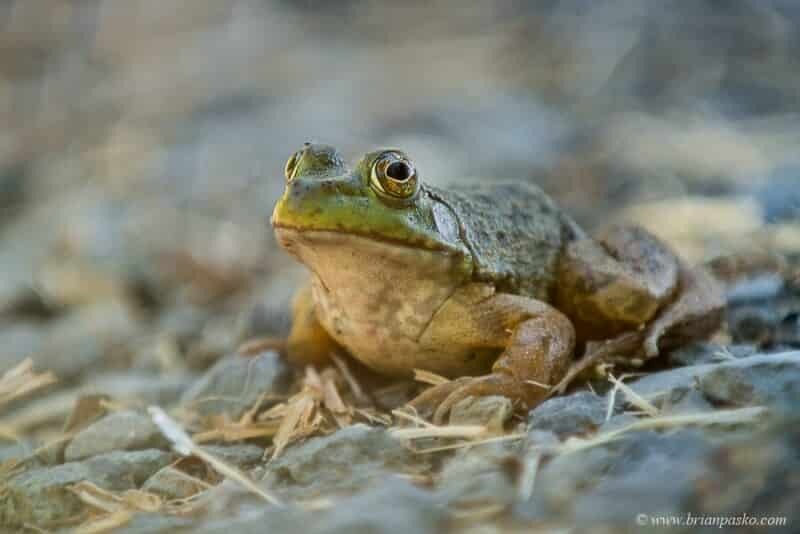 I captured this lonely frog on a late July morning as it played “frogger” and hopped its way across the refuge’s only gravel. And with the abundance of frogs in the refuge come the patient herons looking to catch an early lunch. If you would like to see and purchase more of my fine art images, click here to visit my fine art image galleries online.